Find My Workspace lists over 95% of the serviced offices market in Al Barsha. Simply click Request Quote to check pricing for one office, or Add to Basket for multiple offices. 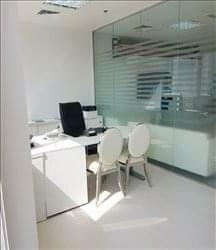 This spacious, modern office is located in a prime location of Dubai. Shared with another company, you have access to everything you need to run your business smoothly. The well designed offices come furnished, and pricing is all inclusive, making this workspace solution one of the most convenient available! As well as covered parking, there is a greeting area for you to make use of if you welcome clients often. Included in the space is super-fast broadband, copy and printing facilities and a shared reception. The centre is accessible 24/7, so you can operate your business under the conditions you desire. 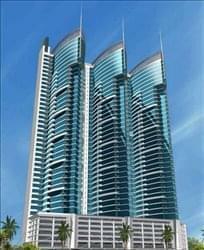 API Trio tower is located in a prime location of Dubai. This centre offers adaptable serviced offices at affordable prices. The address boosts your business’s value and gives your company a strategic presence. The office suites come fully furnished and on flexible terms, so you can set up your operations under your conditions. Here, you are supported by a friendly on-site administration team, who are happy to provide secretarial Support and telephone answering services. DEWA, High speed Internet, Office Boy and pantry Services, Meeting room facility, Mail support, Visa and DED services , PO Box Facility, Parking all available. To obtain information for your selected Al Barsha Serviced Offices, please tick the "Add to basket" box for each office you prefer and complete the form below. We will then send a detailed report via email.